Most speculation about who should get a job is pretty pointless, but this is intriguing. 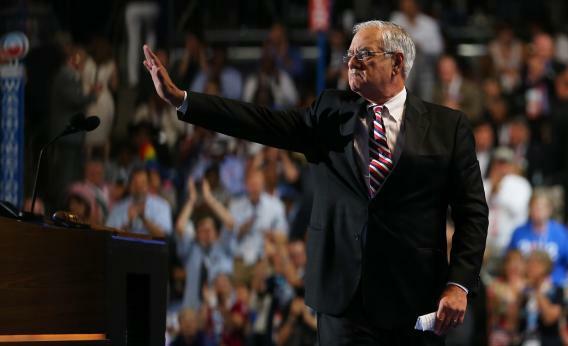 Here’s Barney Frank offering his services to the Senate, if John Kerry needs to be replaced for a few months before someone-or-other beats Scott Brown again in the special election. “The first months of the new Senate will be among the most important in American history. I may be a little immodest, but I called the governor and said I think I can be a help in reaching a fair solution to some of these issues,” Frank said. To understand why might be true, you have to understand two issues for liberals in the Senate: the knowledge problem and the seniority problem. The “knowledge problem” I’m referring to is the media buzz around deal-makers, and the relative lack of buzz around liberals. The Democrats mostly likely to appear in non-partisan media, to sell their wares on economic bills, are Chuck Schumer (who’s constrained by the fact that he represents so much of the financial industry) and any moderate who says he’s ready to cut back entitlements. That’s why you see Mark Warner quoted everywhere, but you only see Bernie Sanders on MSNBC. The senior problem is, actually, structurally worse. The chairmen of the committees with the key roles on fiscal/spending issues are Tim Johnson (Banking), Max Baucus (Finance), Tom Harkin (HELP), and Patty Murray (Budget). Johnson, who’s up for re-election in 2014 and whose speech was damaged by a 2007 brain injury (he’s all there, he just uses a scooter and talks slowly), is no one’s idea of a crusading liberal. Neither is Harkin or Murray, for pure PR/media talent reasons. And Baucus is one of the most conservative members of the conference, an estate tax foe who voted for the Bush tax cuts and was (before Bush proposed a version of it in 2005) open to Social Security reform. Reporters and activists love Elizabeth Warren, but she’s in no position to lead on any negotiations right now. Enter Frank. He’d fulfill the role of a Democratic vote, a negotiator, and a pundit, who’d be in demand for interviews to scour Republicans. If you’re a progressive, and a Senator Frank is a three-month possibility, you’d hate to settle for Sen. Random Guy Who’s Seen As Pretty Inoffensive. Because the other side of that debt debate is going to be highlighted by Paul Ryan, Marco Rubio, and a both of other people who summon cameras into existence whenever they speak.